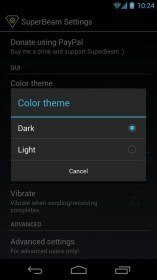 SuperBeam – Soft for Android 2018 – Free download. 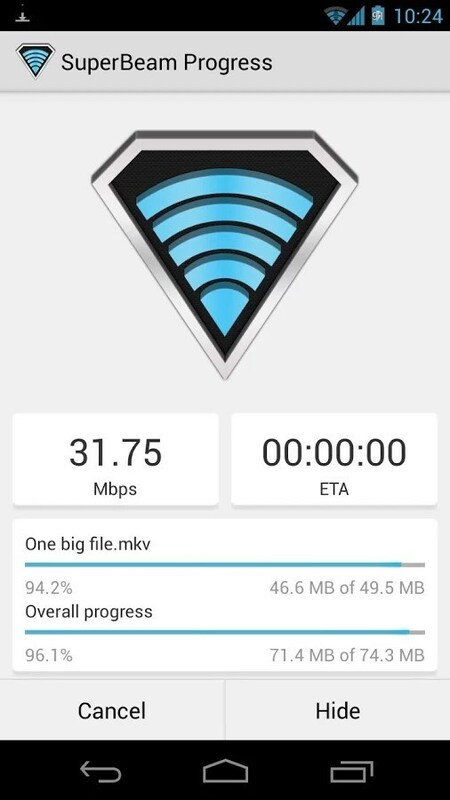 SuperBeam – Instant Wi-Fi file transfer. SuperBeam is a smart and simple program that lets you very quickly share audio, photo, and video files using WiFi Direct Share technology. The only thing you will need to do to send or receive a file is to scan a QR code or use NFC. 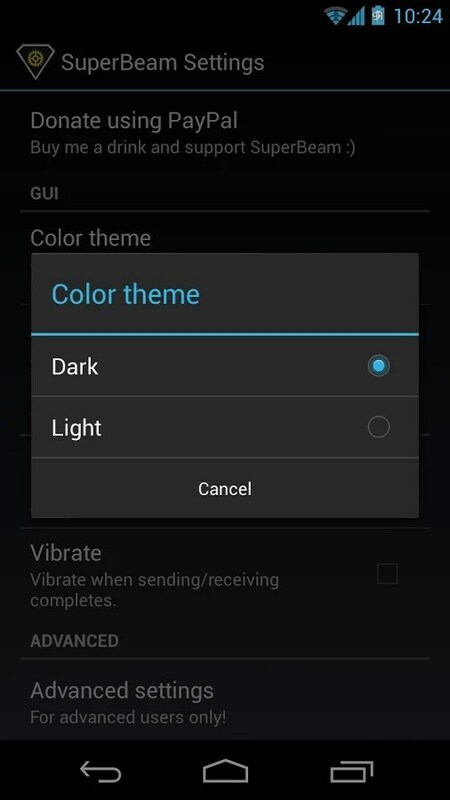 The app has been developed by Majed Alhjary. Its major advantage is that by using WiFi Direct Share it helps you send files to a device produced by any other vendor and vice versa. Its design is stylish, while it’s really easy to use. The interface of the program is minimalist and the first thing you see upon launching the app is a menu that offers you to choose what you’d like to send or how you’d like to receive something. Of course, at the very beginning you will be treated to a short guide, but the software is easily understandable without it. Just choose the right option and let the other person use the QR code or NFC technology. If you want to receive the file, do the same. After it one of the devices will establish a WiFi network, whilst the other one will connect to it to carry out the file transfer. 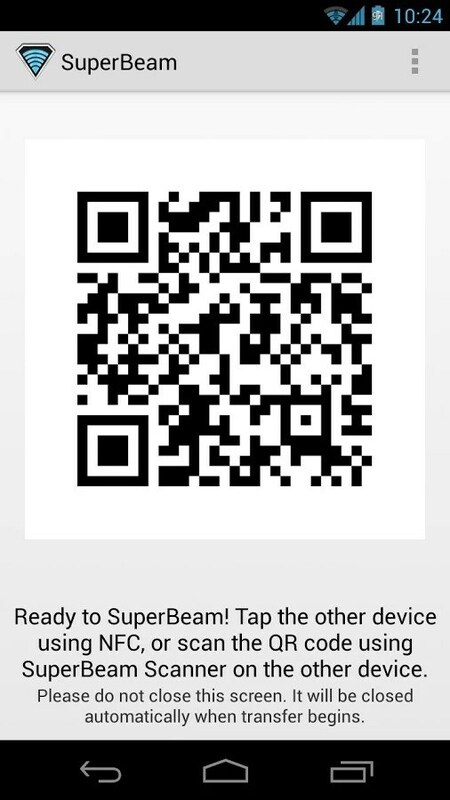 You can use ‘Share’ feature from every app to send something using SuperBeam. It works like magic every single time! Use standard ‘Share’ option in every app to transfer files. And though the paid version features more capabilities and there are built-in ads in the free app, its functionality is more than enough for a common user. 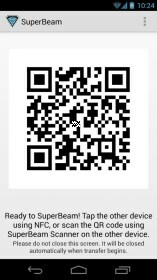 SuperBeam is a great and really simple app for Android devices that lets you easily share files between your device and those of your friends.